every other Tuesday I clean my daughter’s house (yes—because I’m a nice mom) and when I’m done, I take a run over to the “Savers” thrift store in her neighborhood. It just so happens that Tuesday is Senior Day—which means I get a forty percent discount. 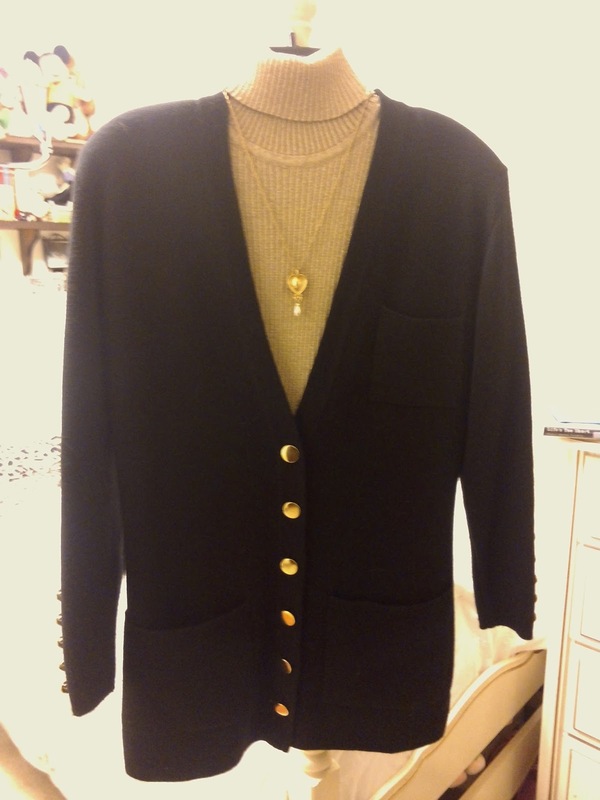 I bought this sweater and turtleneck combo for about $10, both very high quality. Even so, I don’t buy a lot of stuff just because it’s on discount. I’m of the opinion that if you don’t need it, you don’t buy it, no matter how cheap it is. It’s not a bargain if you can’t use it. That said, I furnished my dad’s cabin (I inherited it a couple years ago) completely by bargain hunting at Savers. Some of the items I bought were Pfaltzgraff dinnerware, Corningware and a complete set of Visions Cookware (one piece at a time) at unbelievable prices. shoes, especially good quality ones. 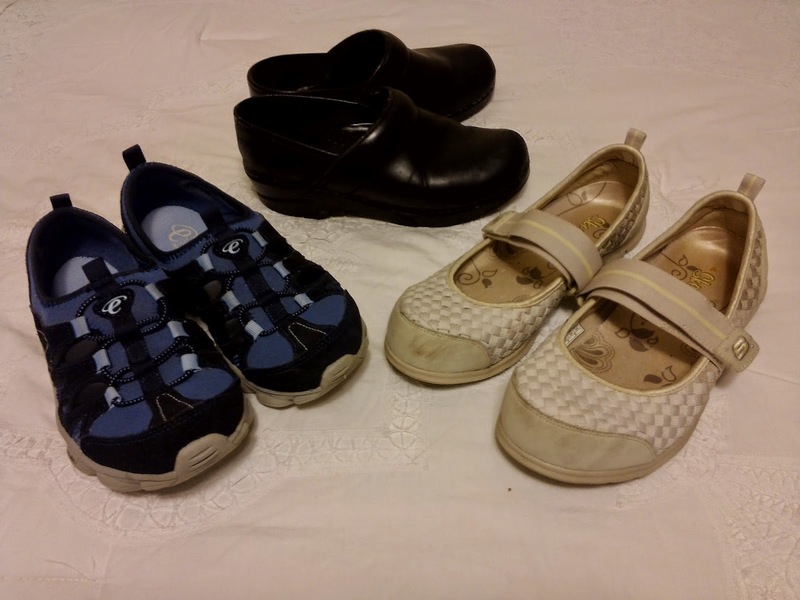 Here is a picture of three pairs I recently bought, Easy Spirit, Skechers and Dansko, all between $5-$10 each. All-in-all, I’ve learned to be selective and extremely disciplined. I only buy high-quality items at rock-bottom prices. It’s a great way to save tons of money and, hey, it’s fun! Do you like bargain shopping or antique hunting? What type of items do you look for? 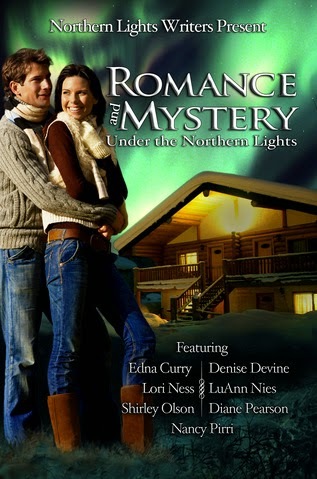 Denise Devine writes romantic comedy and inspirational romance. 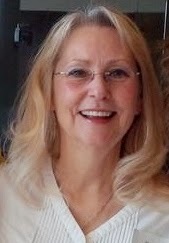 She is currently working on two series, Counting Your Blessings (holiday romantic comedy) and Forever Yours (inspirational romance). In her spare time, she loves to sew book bags and give them away to her readers. You can find all her books and more information about her at www.deniseannettedevine.com. Denise, you're singing my song. I love thrift store shopping and have been a devotee my entire adult life. I buy clothes, purses, and shoes, as well as household goods. I've found a number of Depression glass pieces which I collect and add to my stash. So much fun! It spoils you, doesn't it? No more big box retail! I don't go shopping much but I am a shoe lover—I have a closet full of the shoes I've bought in the past. Getting a new pair of shoes brightens my day, even if they aren't actually new! Shopping is so much fun. My mother used to say that she breathed better in malls. LOL. I don't buy things when I need them, but when I find things or clothes I really like. I love the Mall of America's 500 stores, but can only handle it occasionally. If you're looking for something very special, like a dress to wear to a wedding or an award ceremony--or you're with a teenager, shopping for a prom dress--you'll find it there. Wow--you ARE a good mom! :) And what fun. My favorite stores are all consignment shops, or discounted places like TJMaxx and Homegoods. It's always like a treasure hunt to go to these places! I love going to consignment shops with my daughter, Misty, because she knows designer fashion and can always pick out the items that are a real steal. Fun post! I do consignment shopping. Not as much of a bargain as thrift stores, but still cheaper than department stores! And I even find things that are brand new with tags! Yes--consignment shopping is not as cheap, but you often find very high quality merchandise and exceptionally good prices. I love shoes, too! Although I don't do consignment shopping, I do love to wander through antique stores, thinking about the stories behind the items.